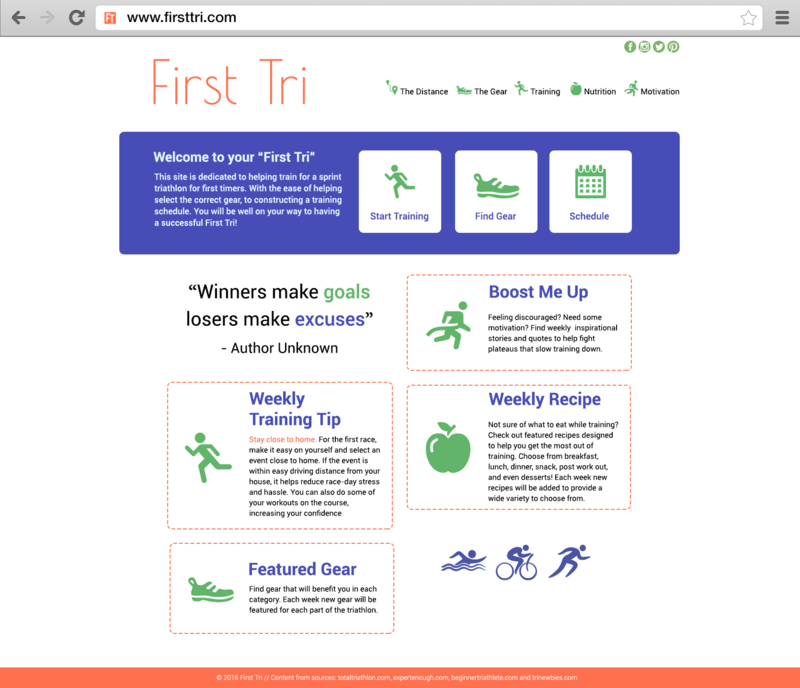 First Tri is a website designed for athletes who want to complete a triathlon for the first time. 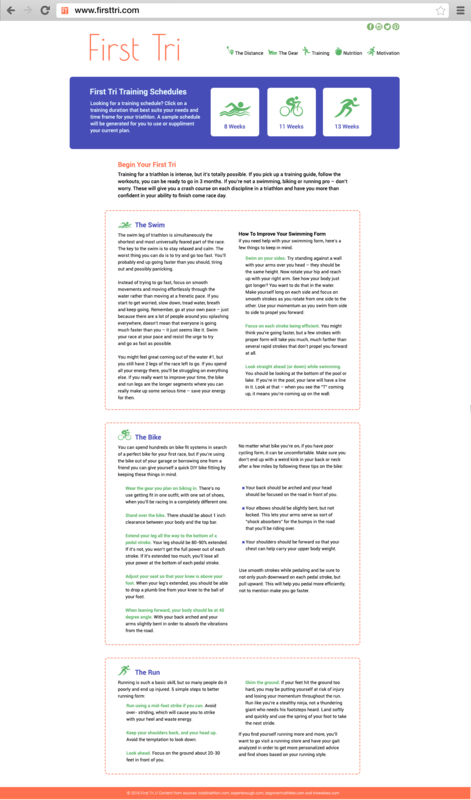 It consists only of content. No photographs were required (used).